Hiro Fine Art is interested in purchasing artworks by Hugh Kappel. Hugh Kappel was born in Berlin, Germany in 1910 to a wealthy Jewish family. His families affluence enabled him to receive a high quality education as well as strong artistic training when he was young. In 1934, Kappel moved to Paris to further his artistic training. He studied under the Fauvist artist Othon Friesz which had a profound influence of his understanding of color throughout his career. He exhibited at the Galerie Niveau in 1935 which also showcased work by some of the most influential artists of the 20th century including Pablo Picasso, Marc Chagall, and Paul Klee. Hugh Kappel continued his studies at the Academie Ranson with Marcel Gromaire. He went on to exhibit regularly in Paris at the Salon d’Autumn, Galerie Carmine, and the Salon des Artistes Francais. His work was well received and he began to mature his style with elements of Cubism and Fauvism. He left France and emigrated to New York City in 1937 to escape the growing Fascist movement in France. Kappel began by designing sets on Broadway and was also enrolled at the New School for Social Research and the Traphagen School of Design. 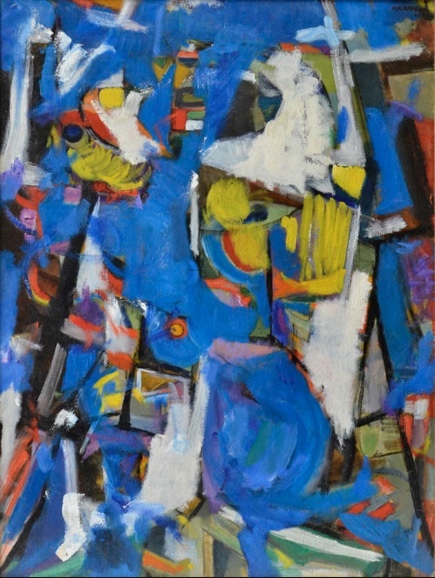 Kappel was introduced to a new, non-objective style of painting that was brewing in New York City and became known as Abstract Expressionism. His style became more fluid and spontaneous with beautiful gestural brushstrokes that evoked an expressionist style. He no long imitated traditional European artistic aesthetics and developed his own unique style. He was part of the landmark 9th Street Exhibition of 1951. His paintings were shown with artworks by Jackson Pollock, Helen Franenthaler, Robert Motherwell, Hans Hofmann, and several other Abstract Expressionist masters. 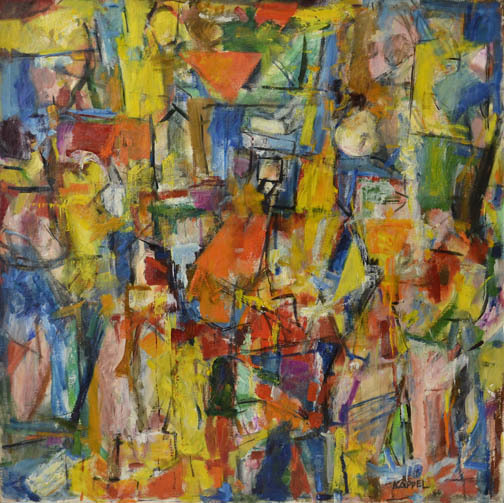 Kappel moved to Minneapolis, Minnesota in 1958 and taught at the Minneapolis School of Art. He continued to exhibit his work in Minneapolis at the Minneapolis Institute of Art and Walker Art Center.